Hand Made Rose Quartz Long Hook Earrings. 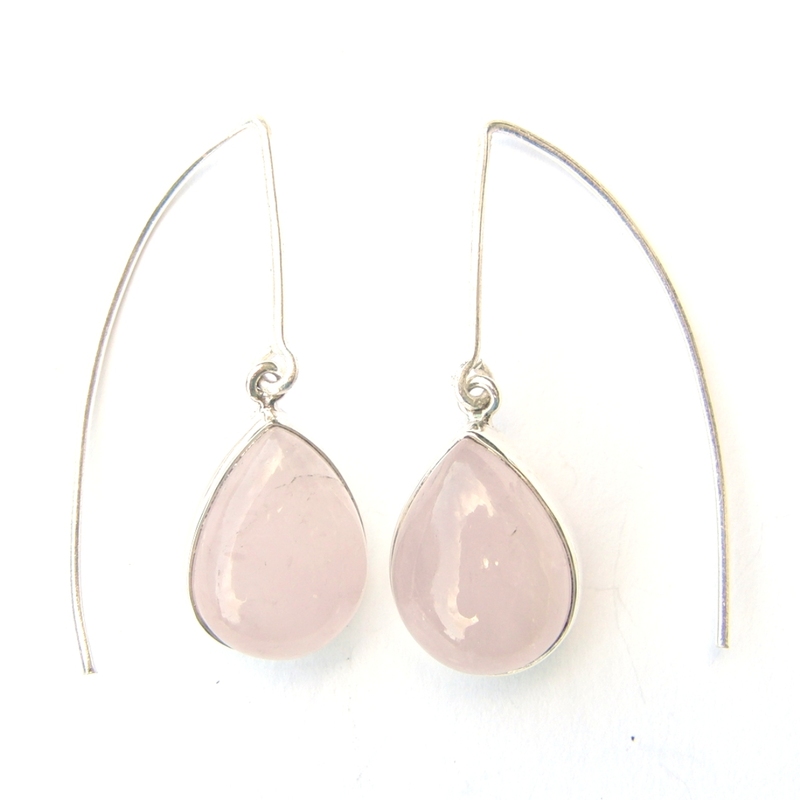 These Sterling Silver Rose Quartz Long Hook Earrings are a nice heavier weight. They have Fantastic Teardrop Cabs approx 12mm x 17mm which are set a in Silver Colet and have Lovely Long Shaped Hooks. Looks amazing when worn! Approx 4 cm including Designer Hooks. This website is strictly for approved Wholesale customers only, if you are looking to purchase these Rose Quartz Long Hook Earrings from a retail store, please visit Shooting Star. We use only the Best Quality Crystals with Lovely Silver Work so we are able to provide you with only the best quality products at very affordable prices. All our Crystals are hand picked, this and the fine polishing ensures each of our pieces are of the same stunning quality. So Our products Simply Sell Themselves! Beautiful Silver Dragonfly Necklace. The Dragonfly Necklace comes with a pretty 18" Cable Chain. The Dragonfly is Dainty but a nice weight design & is approx 2cm incl the Bale. BEST SELLER!